Don’t make your audience suffer by giving them ugly poses. Posing is a high form of art. Remember that each pose you do has its own personality. Match your mind to it one hundred percent. You may understand this better when you compare the way I pose with the way an amateur does a double biceps or a lat spread. He grimaces, goes red in the face and shakes all over. There is no personality to the exhibition. It appears blatantly ignorant and artless. Don’t make your audience suffer by giving them ugly poses. When people cheer for raw muscle and vascularity they are giving away their own intellectual level. Don’t get caught up in the heavier is best syndrome. Posing is a high form of art. A most muscular is not the whole story. 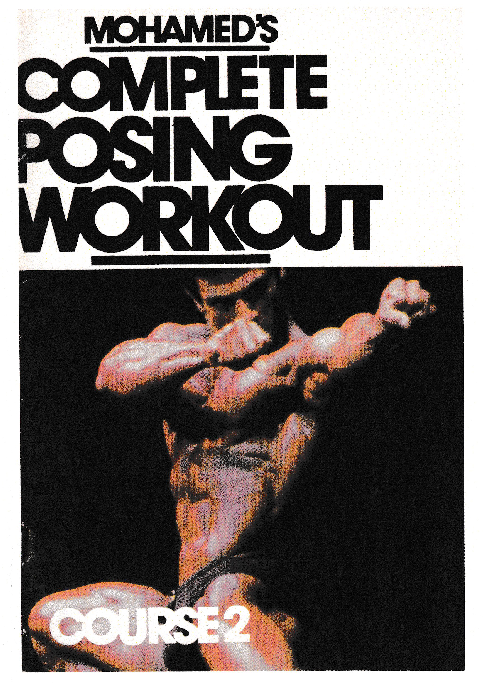 This special posing course teaches you host to pose by one of the best the iron game has ever seen!